When there is an immediate need, Armenians always respond. We build the churches and the parish halls that are the center of our spiritual and cultural lives. We fund the youth groups, summer camps, and trips to Armenia that connect our young people to our heritage. And we reach out to people who are suffering, whether they are in Armenia or in our own neighborhoods. Endowments give us the opportunity to be just as generous in providing for future generations. 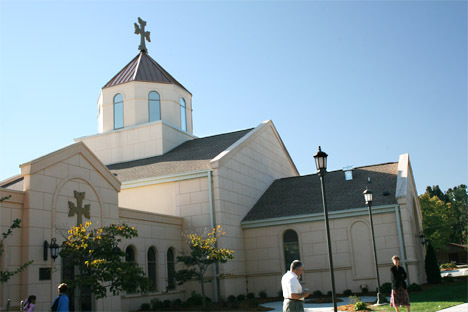 The late Mr. Sarkis Acopian assumed all construction expenses for St. Sarkis Armenian Church in Charlotte, North Carolina, the region’s first Armenian Church. And, by establishing, the Sarkis & Bobbye Acopian Endowment Fund, he helped ensure the ongoing life of the parish. Mr. Acopian’s generosity continues to honor the memory of his mother, Dr. Araxie Acopian.